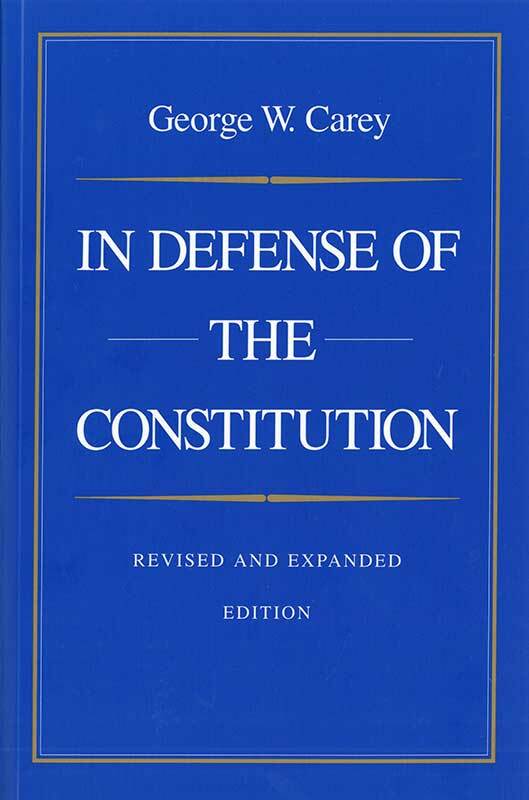 In Defense of the Constitution argues that modern disciples of Progressivism who subtly distort fundamental principles of the Constitution are determined to centralize political control in Washington, D.C., to achieve their goal of an egalitarian national society. It is in their distrust of self-government and representative institutions that Progressivists advocate, albeit indirectly, an elitist regime based on the power of the Supreme Court—or judicial supremacy. George W. Carey was Professor of Government at Georgetown University and editor of The Political Science Reviewer. Note to the reader, introduction, suggestions for further reading.